Hamilton House is a great traditional smoke made famous in the mid 90's by well-known film star George Hamilton. This cigar boasts all the great characteristics of a premium Dominican cigar with a mellow to medium strength and a rich smooth taste. Hamiltion House is available in 5 sizes; packed 25 to a cedar box. Each cigar is individually cellophaned. These cigars didn't schwing me. I think my pack is a little dry. I got them over the winter. I've tried two and have not found the flavor or burn to be great. I'm trying to moisten them in the humi and will give them another try in a few months. I realize they are an inexpensive product and I try to keep that in mind during reviews. 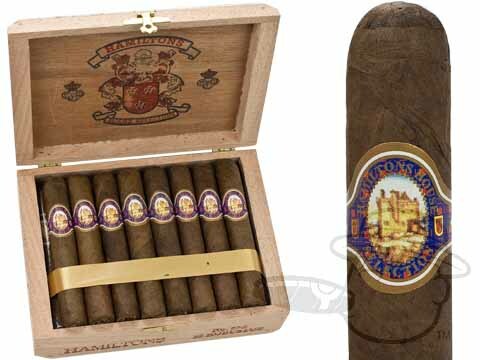 Great cigars for the right price! Even though the price went up I still enjoy them & think they are the most bang for the buck! I am new to cigars and found this one hard to smoke felt overpacked, bad draw couldn't hardly smoke stopped after about 25%. not a fan of these. Hamilton House Robusto is rated 3.2 out of 5 based on 7 customer ratings.